Previous: Further welcomes PPC Executive Alice RaynerBlog indexNext: The Death Of Subculture part 7: subculture becoming culture, neotribalism and what’s the next subculture? 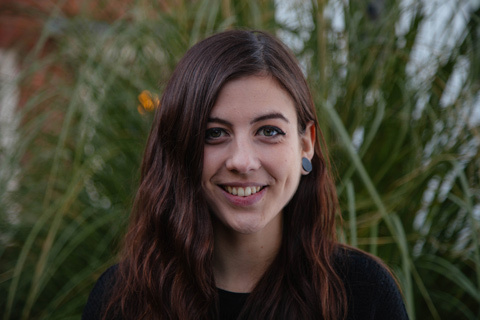 Tabby Farrar is the latest addition to our growing outreach team. We asked her a few questions to find out a little more about life before Further..
Area of specialism: A combination of creative writing and relationship-building; be it brand meets influencer or copy meets consumer! Potted career history: Having spent years in bartending and hospitality doing everything from event planning to social media management, I took a leap into freelance writing and blogging a few years ago. I was travelling fairly extensively at the time and set up a blog to write about my adventures and volunteering experiences, meaning when I got back to the UK I already had a portfolio of work under my belt – opening the door to a Digital Marketing Internship. From here I expanded my skill set working on content strategies, SEO and digital PR for brands in a host of industries, and now I’m looking forward to getting stuck in to content creation and outreach with the talented team here. Interests: Eating my way around the world, pretending to be half-decent at yoga, experimental home cooking and going to see bands I’ve never heard of. Next on the bucket list… Hanging out with sloths in Costa Rica. Best piece of life advice: It’s better to try and fail than not to try at all – life is too short for ‘what if’s.